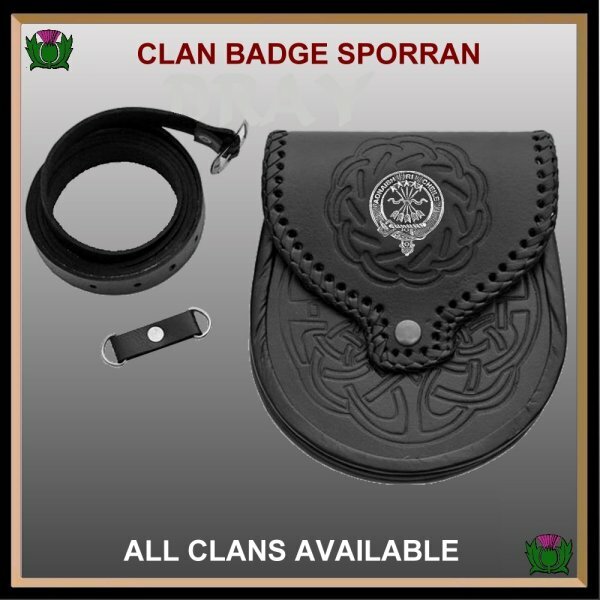 Complete your Scottish outfit with our Clan crest badge sporran. Made of cow leather with a beautiful embossed Celtic interlace design and mounted with your Clan crest badge on the center of the flap. The sporran comes complete with a leather strap and chain suspender, ready to wear. The Clan crest is available in your choice of sterling silver or pewter. Some of the rare names are only available in sterling silver.